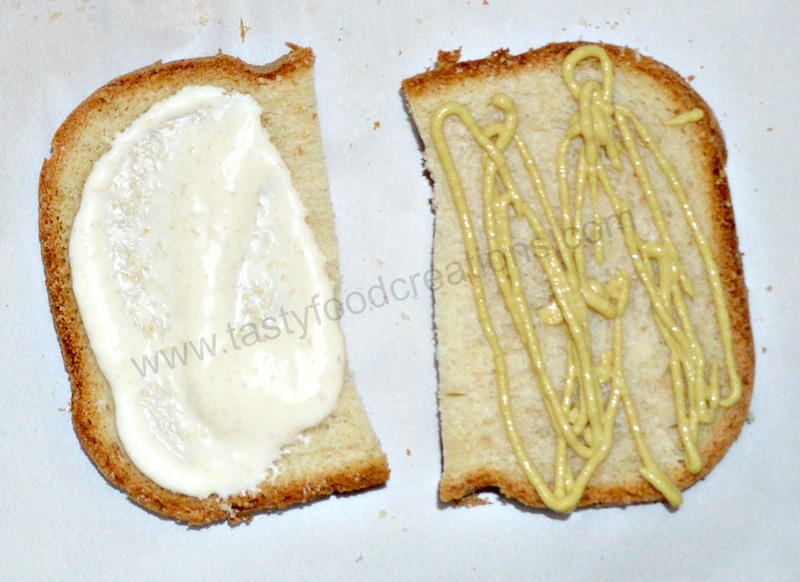 Spread horseradish sauce on one side of the bread and Dejon mustered on the other side. 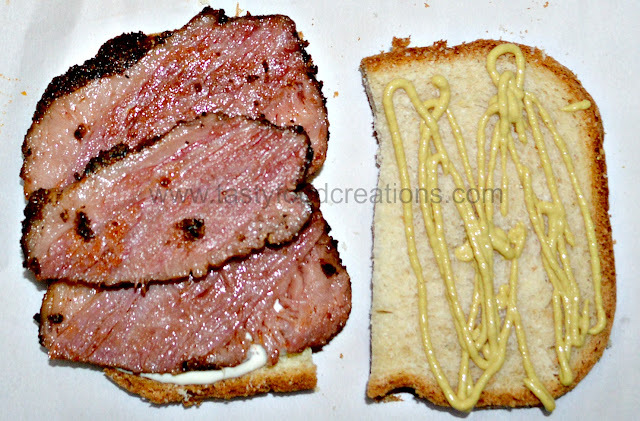 Top one side with the pastrami. 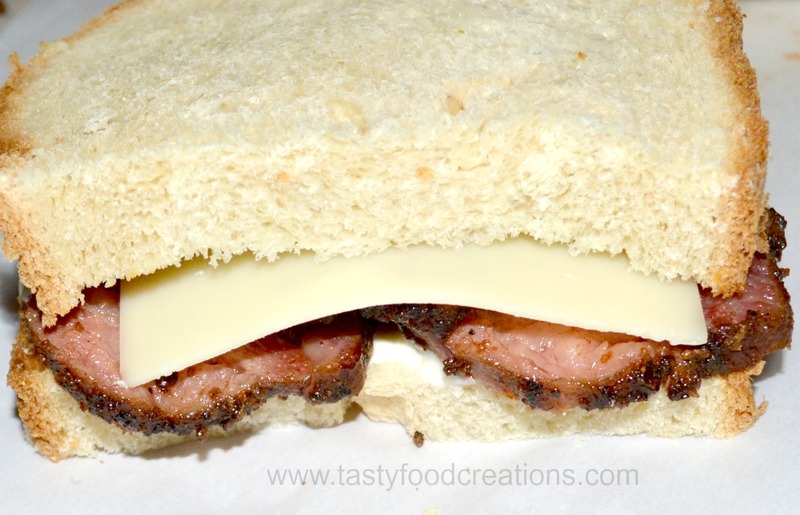 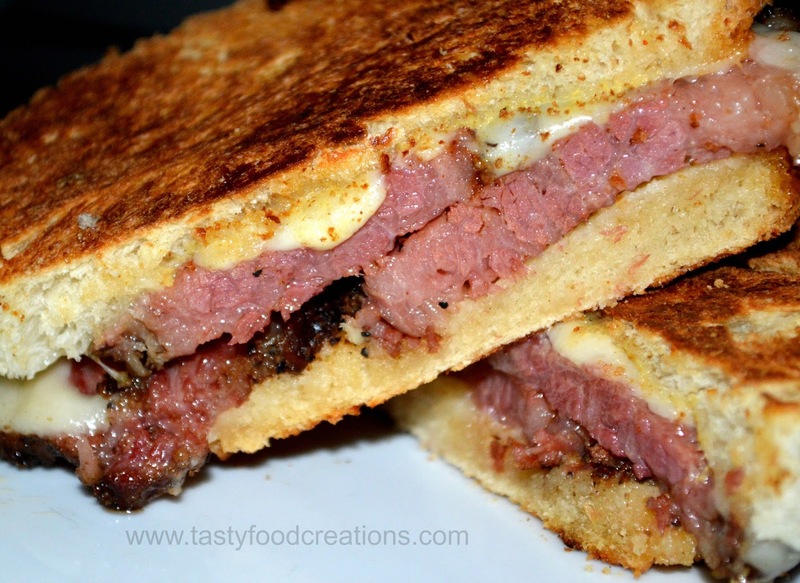 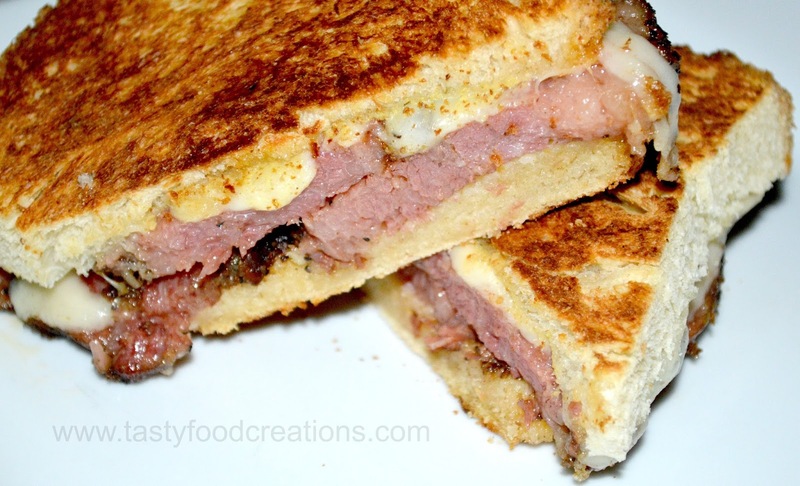 Top pastrami with Swiss cheese. 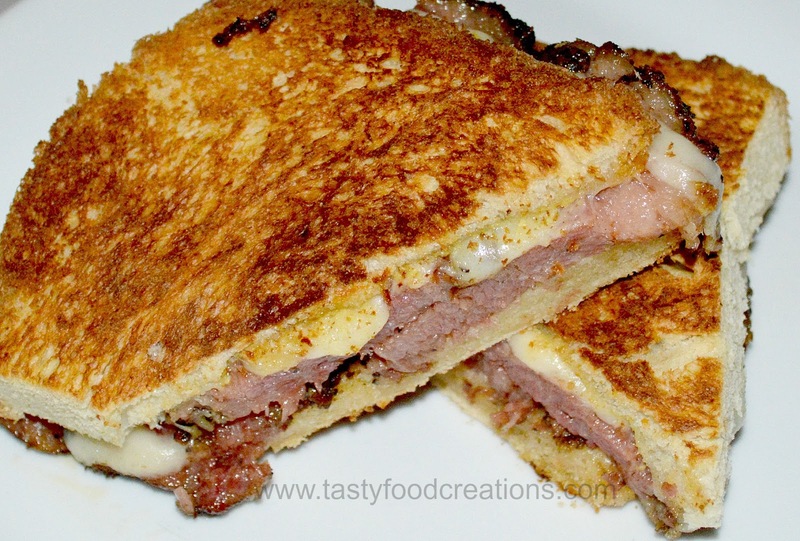 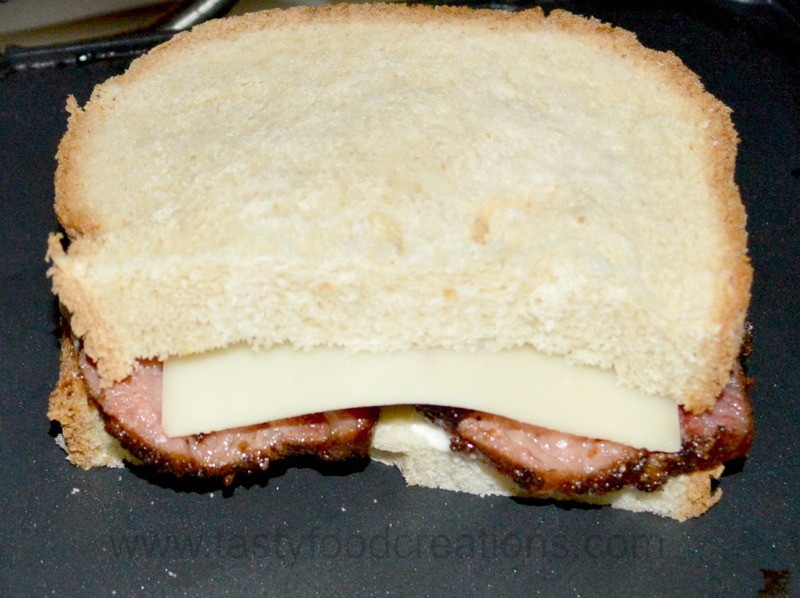 Place your sandwich on panini maker, press and cook until cheese melts. 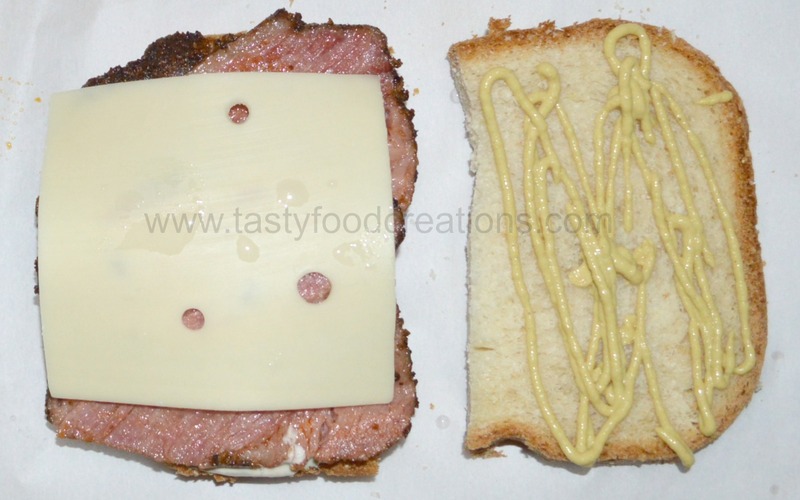 Also you can use a pan and cook on both side.